What Home Based Franchise Could I Run? Who wouldn’t want to work from home? No painful daily commute, no infuriating desk mates, no distracting chit chat or other people’s awful music choices, the exact kind of biscuits you like and no need to dress “smart casual”. If this sounds like paradise to you, it may be time to start exploring home based franchise opportunities. Of course, working from home isn’t all a dream come true. You’ll need to motivate yourself every single day and fight to avoid the urge to procrastinate. You’ll also need to be your own boss, ensuring you hit your targets and get the legwork done. But for motivated individuals ready to work for themselves in the comfort of their own home, home franchises can be a fantastic fit and boost your quality of life. Whether you’re a mother looking for low cost home based franchise opportunities you can run flexibly during the hours your youngsters are at school, or a professional who’s simply tired of the rat race, we’ve compiled some helpful information on work from home franchises to help you explore your options. Beauty, food, marketing, fitness, accountancy – the array of sectors you can go into as a franchisee is virtually endless. 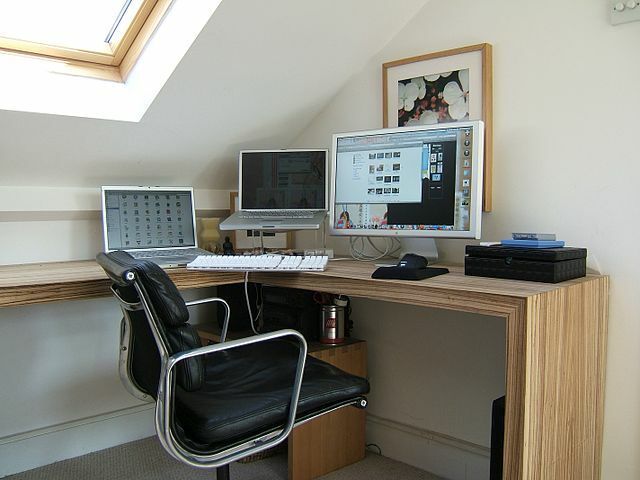 However, for those interested in working from home, the options are slightly narrower. While it’s always possible to take work home from “the office”, many franchises require sales premises and involve managing an on site team (restaurants, nail bars, you name it). – Service driven franchises (digital marketing, tax accountancy etc.) which do not require in person meetings and can be operated online. Although running meetings from home is possible, it does not always translate as professional. Look for a home based franchise which allows you to Skype and call from home to do business. – Part time franchises are often more suitable for home workers. That’s because they frequently (though not always) call for a lower level of commitment and can be squeezed into your existing schedule. You’ll need to choose your part time franchise carefully however, businesses like a food van will certainly take you outside the comfort of your own home, but things like paperwork, promotions etc could realistically be completed at your own property. – Low cost franchises are comparatively easy to get off the ground and frequently involve far fewer burdens in terms of premises, equipment, storage space and contact with clients. At Tubz, our affordable rates, plus tried and tested formula set franchisees up with flexible businesses they can run from home, on a basis which fits around their lifestyle, whether they’re ready to build an empire or simply want to increase their overall earnings. Once you’ve decided on the type of franchise you’d like to run from home, it’s time to begin your hunt for appropriate options for you. Make sure you go into this process with your budget firmly in mind to ensure you invest in an opportunity you can afford. Make sure you have an opportunity to talk to current franchisees and find out what other franchisees have to say about their experiences. At Tubz we publish our testimonials online so you can get a feel for how our franchisees operate and what they think about their vending franchise. Would-be franchisees should also perform thorough due diligence (you can search for potential problems and suspicious dealings by checking with Companies House). This is a great way to find out a lot about a company, from how financially stable it is to how long it has been operating. Have you decided that franchise work from home could be a great next step for you? 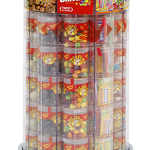 We’d love to tell you more about our flexible vending franchise. For more information and a no obligation chat, please contact us via: info@tubzbrands.co.uk or on: 01795 414 480.